The speaker for the Southwest Seattle Historical Society series Southwest Stories talk on Sunday Oct. 21 is Easy Street Records founder Matt Vaughan He was born and raised in Seattle. As a teen, if he wasn’t shopping at record stores he was working at them. How did a kid at 18 years old start a record store, or any business for that matter? Here Matt is, 32 years later, to discuss the beginnings, and much more. 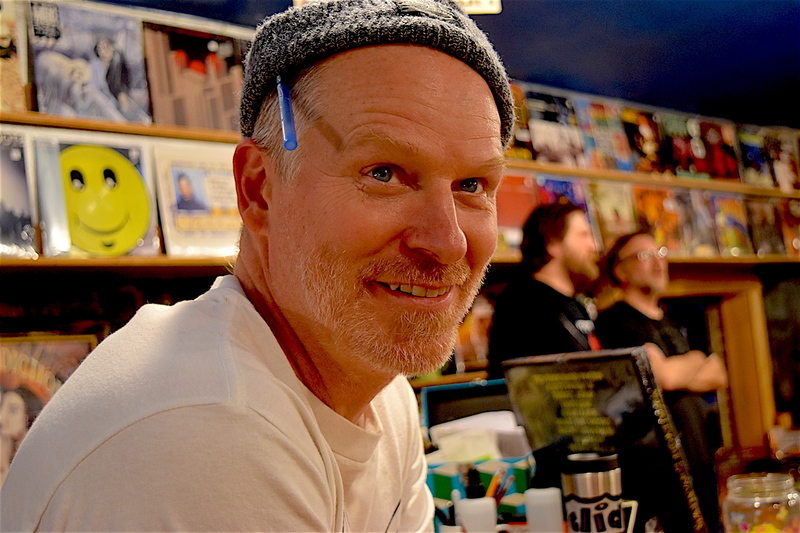 If you are wanting to be introduced to the beginnings of Easy Street: the seedlings, the risk, the perils, the mischief, and ultimately the success, then this will be your time to sit in with Matt and learn about one of West Seattle’s cultural icons: Easy Street Records. This talk will be informative & entertaining for listeners of all ages. Youngsters interested in music are encouraged to come, as well as small business entrepreneurs looking to be inspired. Vaughan will not only discuss his business, but also that of the music scene, and Seattle’s music roots and history, especially as it pertains to West Seattle. This event will fill up quickly, and has a limit of 50 people attending, so please RSVP here.